What’s so Special About the FACup? How Do I Stream FA Cup 2017 With a VPN ? Are There Other Ways to Stream FA Cup 2018 Final? Stream the FA Cup… and Protect Your Privacy at the Same Time! The 2017/2018 FA Cup is well underway, with the final at Wembley Stadium just around the corner. If you’re a football fan who unfortunately can’t access a cable TV to watch it properly, or if you’re not in the UK at the moment for personal or professional reasons, you might wonder about other technics to be able to stream the FA Cup 2018 final. In this article, we’ll teach you how to enjoy the FA Cup 2018 live games by using a Virtual Private Network (VPN) service. A VPN allows you to re-route your internet connection through any server hosted by the private network. Good quality VPNs like HideMyAss, ExpressVPN or IPVanish usually offer thousands of different servers located in dozens and dozens of countries, which makes it very easy to find a good way to stream FA Cup 2018! 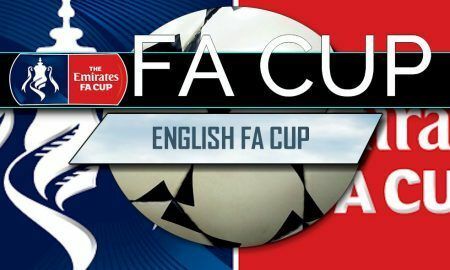 The FA Cup is so exciting for one special reason… It is indeed one competition, if not the only, that gives a chance to amateurs or semi-professionals teams from lower divisions to play the game of their life and kick some professional team out of the tournament. On top of that, many also consider the FA Cup to be the oldest football tournament in the world, which gives it a special kind of prestige. This is why the biggest teams of the Premier League also battle fiercely for the title. But let’s not linger on too long with WHY the FA Cup is so exciting, and let’s get onto HOW you can stream FA Cup 2018 using a VPN. First, you want to choose a VPN service that suits your wants and your needs. There are many VPNs around but they don’t all offer the same level of quality. ExpressVPN is without a doubt one of the best value for money you can get on the market this year. You may have a look at our complete review to understand why ExpressVPN is our first choice to stream the FA Cup 2018 final. Get a subscription to Express VPN. Install the ExpressVPN app on the device that you want to use to watch the FA Cup 2018 final. An Express VPN subscription allows to set up the VPN client on several devices at the same time. Go to the BBC iPlayer website. Alternatively, you can also download one of their specialized apps such as BBC iPlayer Desktop App, the iOS app or the Android app for your smartphones and tablets. You’re done! Just go to the FA Cup live stream and enjoy the game! This trick will allow you to watch the FA Cup final live even when you’re not physically in the UK. You need to set your VPN location to the UK for this to work. Be aware that sometimes, even when you’ve chosen a UK gateway, the website of the BBC will still detect that you’re not in the UK. If this happens, don’t panic! All you have to do is clear the cookies from your browser and go back to stream FA Cup 2017 with your VPN. Of course ! if British commentary isn’t your cup of tea, you can always plugin to another streaming site that shows the FA Cup, in the US or in Canada for example. By following the same procedure with ExpressVPN that we described earlier, you can then enjoy the FA Cup with comments from your favorite American or Canadian sports commenters. Isn’t it a bit over the top to set up a VPN service just to watch the FA Cup 2018 final? Well, that’s not the only thing that a VPN does for you. By making your internet connection running through a private network, you add an extra layer of privacy and encryption, making it difficult for hackers, scammers, sketchy governments and whoever else to follow what you’re doing online. A good way to protect your privacy and avoid targeted advertising. Choosing to use a top-notch VPN like ExpressVPN, who offers OpenVPN, PPTP, L2TP/IPSec protocols as well as high-quality encryption in 128 and 256 bits, is also choosing to protect your privacy and your anonymity online. If you’re not too sure about what VPN protocols are and which one to choose to protect your privacy online, have a look at our “VPN Protocols for Dummies” guide. With a premium VPN properly set up, you can enjoy the FA CUP 2018 Final as well as a secure and uncensored internet! Every season I’m streaming not just FA Cup but also Premier League threw NordVPN UK servers. Never experienced any issues regarding connections, I can’t lie – very impressed with speeds I can reach. Would recommend for every sports fan.